School of Divinity | Who Wants To Be Debt Free? Who Wants To Be Debt Free? Who Wants to be Debt-Free? We would all raise our hand to this question, but are we also willing to make the tough decisions required to reduce or eliminate debt – especially, educational debt. As the new school year is on the horizon, there are a few tips that should prove helpful to help reduce or eliminate debt acquired in divinity school. It is so easy to simply click the checkbox to accept the entire $20,500 of unsubsidized federal loans offered to graduate students. Rather than assuming that you will need that HUGE amount, consider what you will actually need to finance your theological education. You can always accept less loans, and borrow more in the future if really needed. Get a job(s) that will cover the majority of your living expenses. Consider employment at a local church, non-profit, or an agency that will cover some of your basic bills (rent, car insurance, etc.). Several students will work on campus via the federal work-study program (typically about $1,000 per semester), but you should also plan to work another job to make ends meet. We all have bills, some have more than others! Make a budget and determine where most of your money is dedicated to each month. Use a customized tool like CashCourse, your guide to making informed financial choices. This financial tool is available to all Wake Forest students and can help get you on solid financial footing. Also you can use apps like Mint.com or Spendee to get a grasp of your monthly income and expenditures. Where can you cut expenses? Consider reducing your cell phone bill, living without cable, getting a roommate, driving a more affordable car, stop eating out and buying coffee beverages. The little comforts (notice I didn’t say needs) add up! Using loans for living expenses is an expensive option, because you are being charged interest for doing so. Your loans are big enough without having them cover pizza and spring break trips, too! Consider the real costs for using loans for all of your living expenses when you don’t have to. If you must use some loan money for living expenses, borrow the least amount necessary each semester. In addition to your scholarship from the divinity school, you should be on the hunt for scholarships outside of the divinity school to assist with your education. Review the online resource on the divinity school website and others sources. Students have reported that if they take the time and make a genuine effort in searching and applying for outside scholarships, there is a nice return on investment. Before you take out a student loan, you should calculate what your payments will look like (undergrad and graduate), especially against the kind of salary you expect to make when you graduate. Don’t take out more student loans than you expect to make your first year out of divinity school. For example: If want to plan to be an associate pastor after divinity school and get a starting salary of $32,000, don’t take out more than $32,000 in loans TOTAL. If you’re going into a more lucrative profession then, $60,000 – $100,000 could be appropriate. But you’re studying to be a religious leader so… borrow less, reduce expenses, work part-time, and seek outside scholarships. So I’ll ask again – who wants to be debt-free? I know I did when I graduated from divinity school and I managed to do just that. I attended school full-time, worked at a non-profit with flexible hours, I applied for scholarships and asked my church to help pay my rent, I borrowed books from friends when I couldn’t afford them, I drove an inexpensive car, and eliminated all bills that I did not really need. I prayed, I lived simply, and I graduated debt-free. It wasn’t easy, but it was well worth it. 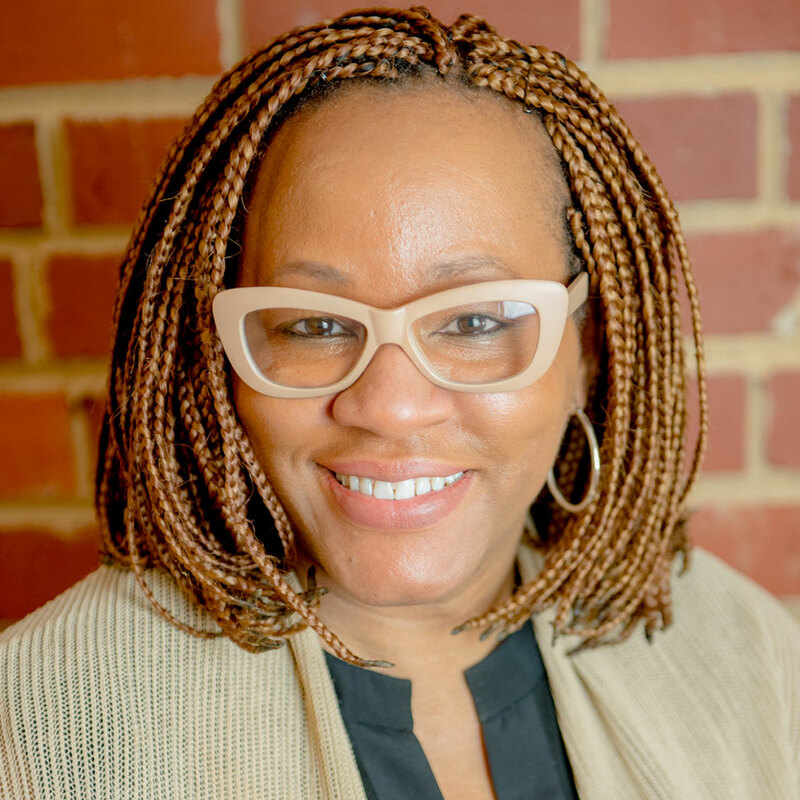 Dr. Shonda Jones is Associate Dean of Admissions and Student Services at Wake Forest University School of Divinity. She is also the project coordinator for the divinity school’s Financial Well-Being for Pastoral Leaders program.